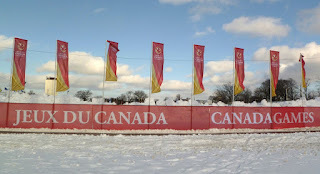 After months and months of advertising and preparation (probably years) the 2011 Canada Winter Games have started. 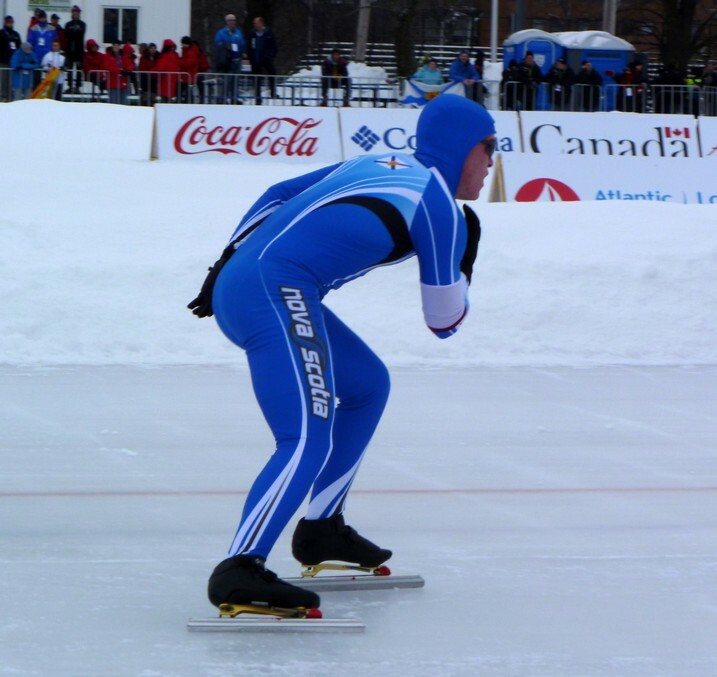 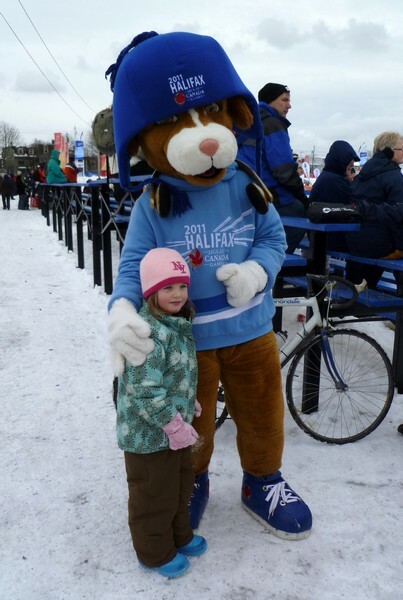 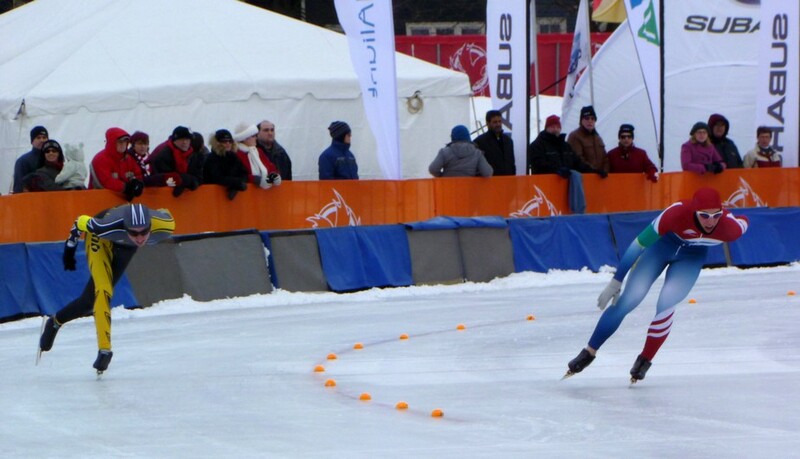 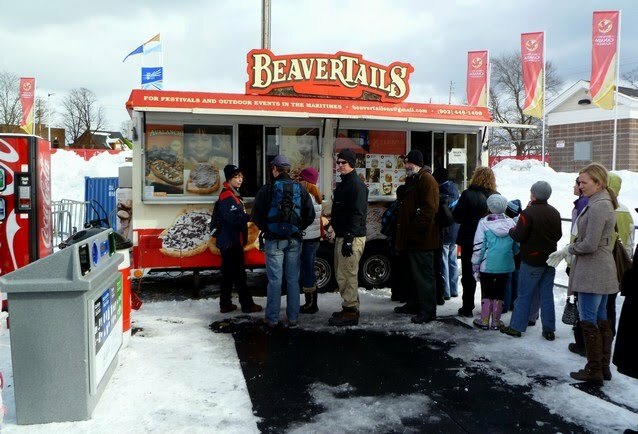 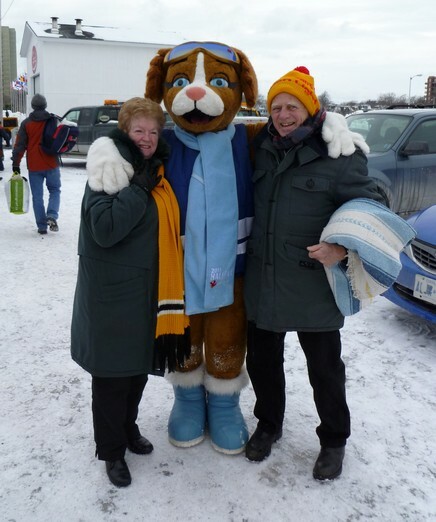 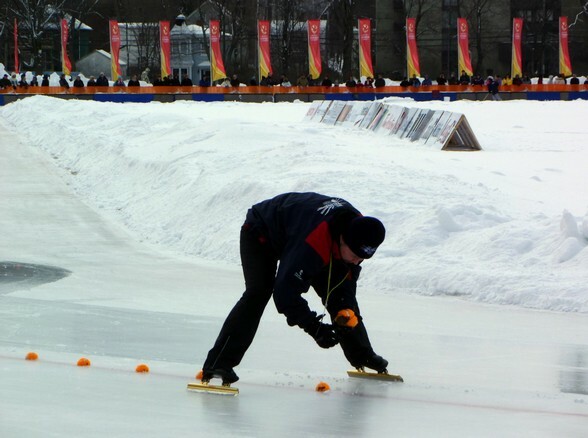 The largest multi-sport winter event for young Canadian athletes, the Canada Winter Games are held every four years in a different province or territory across Canada. 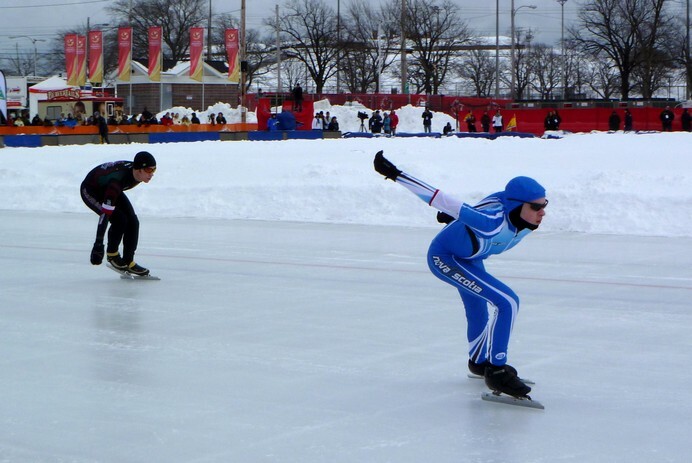 The Canada Winter Games are like a mini-Olympics, with the strictly amateur athletes competing for their province/territory in a variety of different sports ranging from judo to wheelchair basketball to snowboarding. I had the privilege of volunteering at the Canada Winter Games in 1995, when I lived in Grande Prairie, Alberta. It's interesting now to have another chance to experience the games as a spectator some fifteen years later. 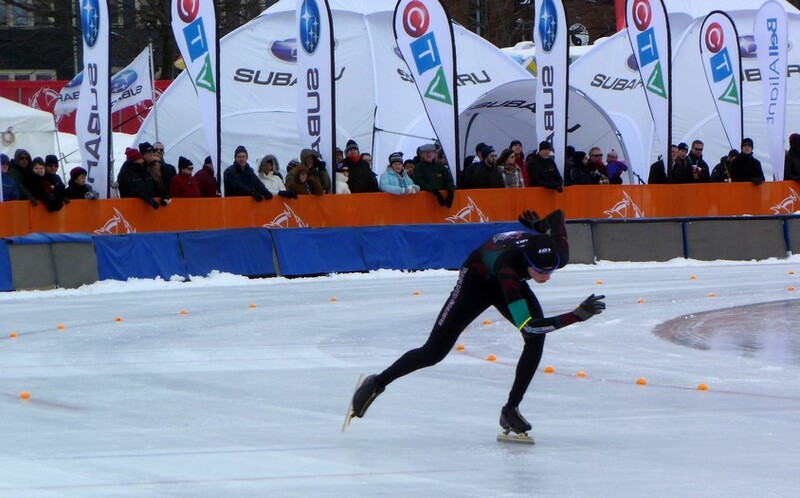 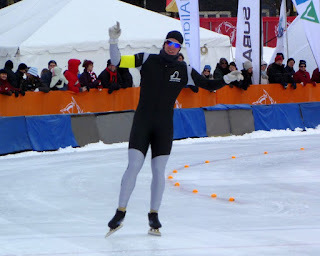 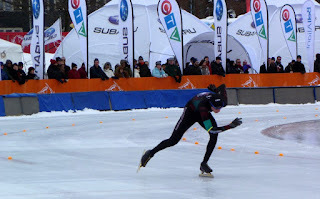 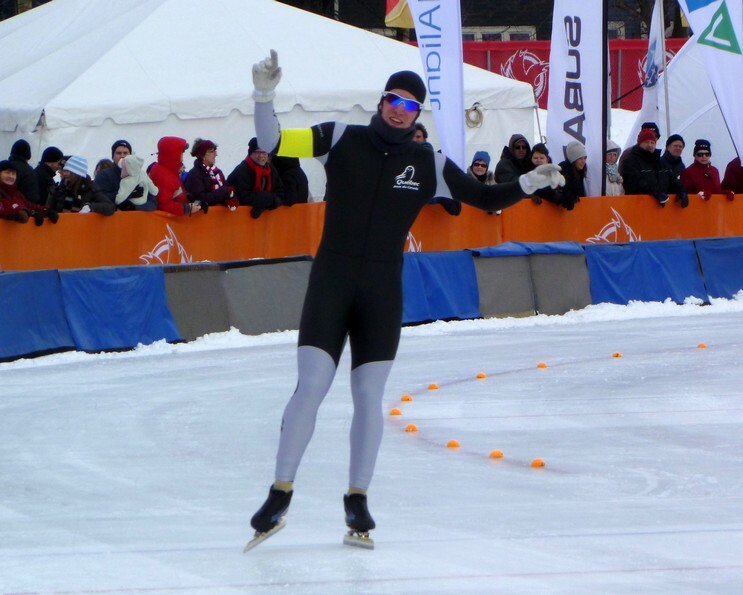 I'm breaking form here by writing about the Games while they're still ongoing, but since I'm too cheap to buy a ticket for any of the other events, I had to settle for watching the only free event I could access without a car - the long track speed skating competitions at the outdoor oval. 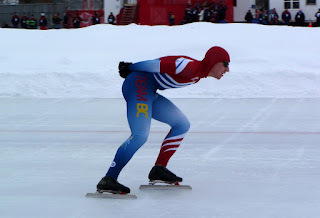 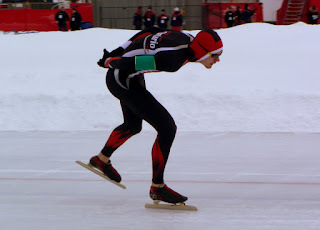 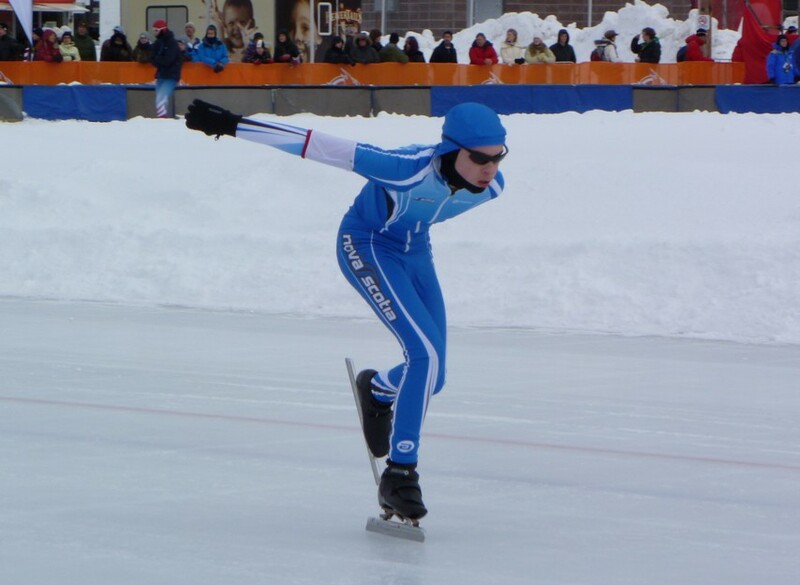 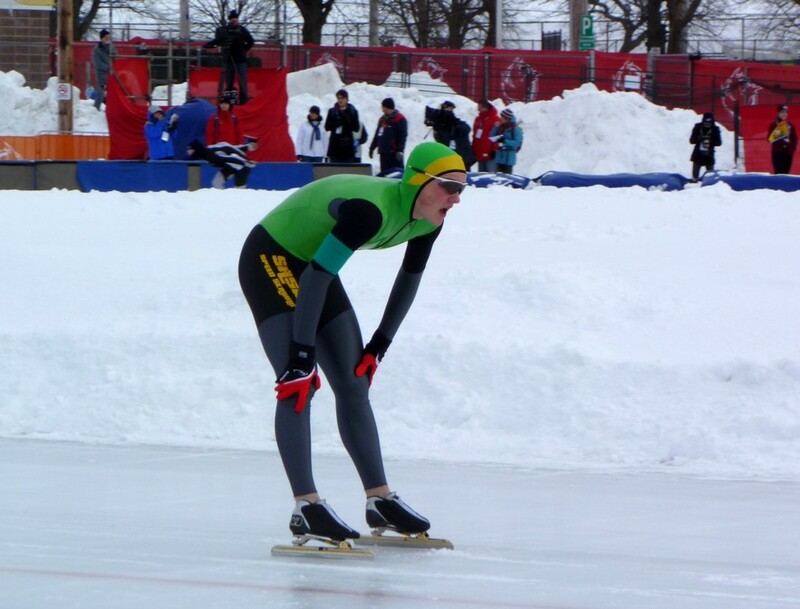 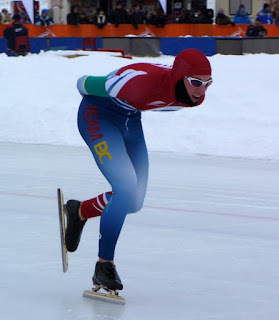 Long track speed skating has many events, ranging from 100 metres, to 3000 metres. 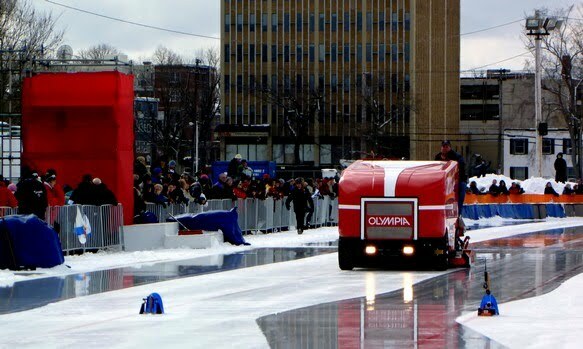 With the oval being 400 metres in circumference, a 3000 metre race entails skating around the rink seven and a half exhausting laps at high speed. Considering a fast 3000 metre time for a male is four and a half minutes, and the body starts creating lactic acid well before twenty five seconds into a race of that kind, you can imagine how painful it must be for the athletes.